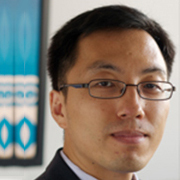 Tianshu Li from George Washington University has joined EFree as a University Partner. He will also take the position of Computational Theory Coordinator. Tianshu is an Assistant Professor in the Department of Civil and Environmental Engineering at George Washington University. He received his PhD degree from the University of California - Berkeley in 2005. His work focuses on molecular simulations (density functional theory and force field), nucleation and growth in liquid-solid phase transformations, mechanical properties of advanced alloys, optoelectronic properties of semiconductor nanostructures, atomic structure and microstructure of calcium silicate hydrates, and the development of advanced sampling methods.